New Haven-Union Station is the most important train station in the State of Connecticut. 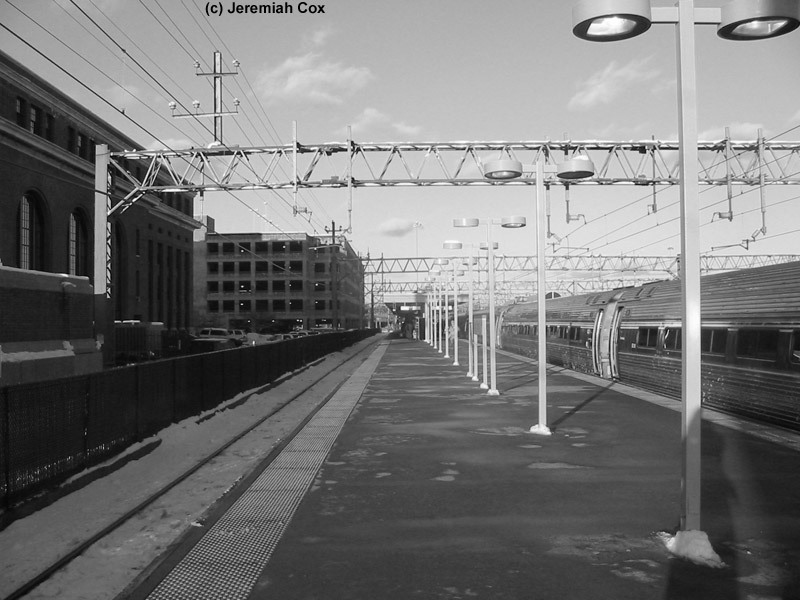 From 1914 until 2000, when Amtrak finally electrified the Northeast Corridor all the way to Boston (a project over 80 years in the making that the once-mighty but later too passenger oriented New Haven Railroad never quite managed the financing to complete post-World War I), all through trains had to stop in the station for at least ten minutes to undergo an engine change. Electric locomotives for service into New York, Grand Central initially except for through trains to Washington going to Penn Station until the early 1970s in the Amtrak era when all intercity trains were rerouted there, were swapped for diesel locomotives for all service North and West. This engine change still occurs for two (three on weekends) Amtrak round-trips that are the through trains up the diesel inland route. 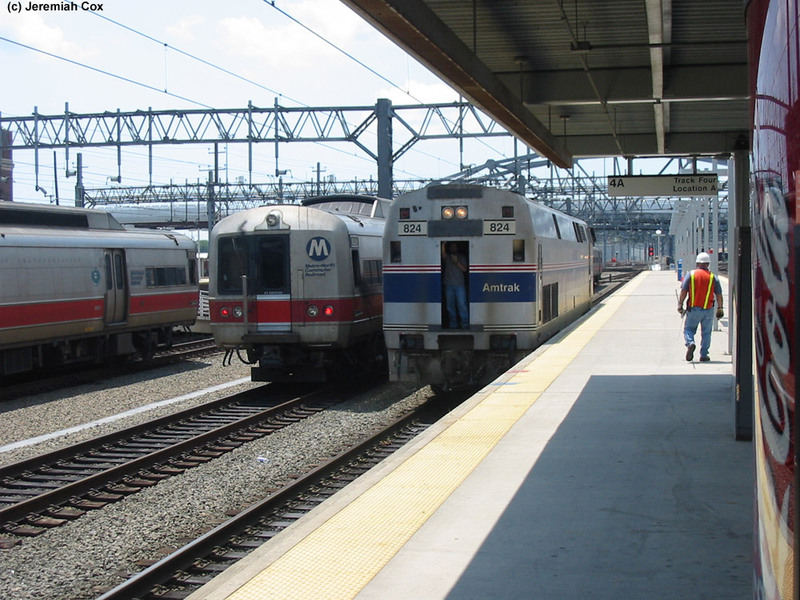 One is the Vermonter, the others are Northeast Regional trains that run through to Springfield. 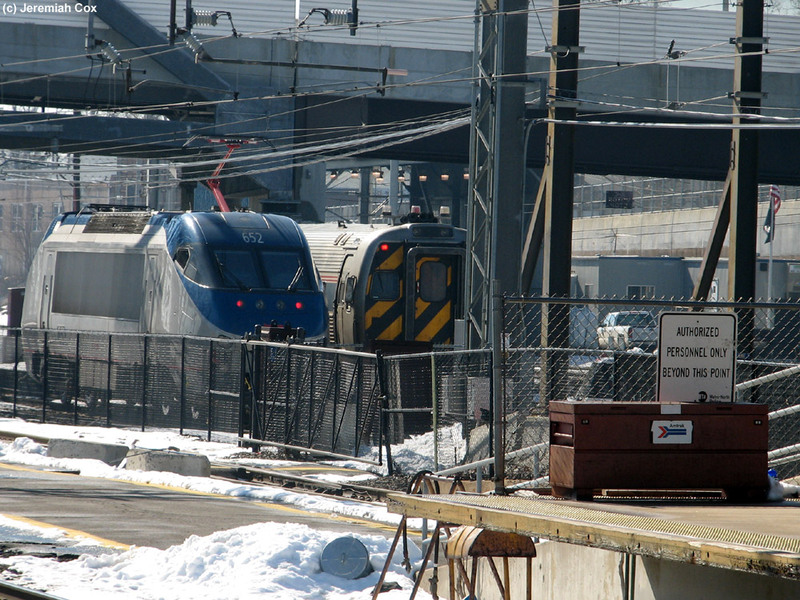 All other New Haven to Springfield service since 2000 has consisted of New Haven — Springfield Shuttle Trains. 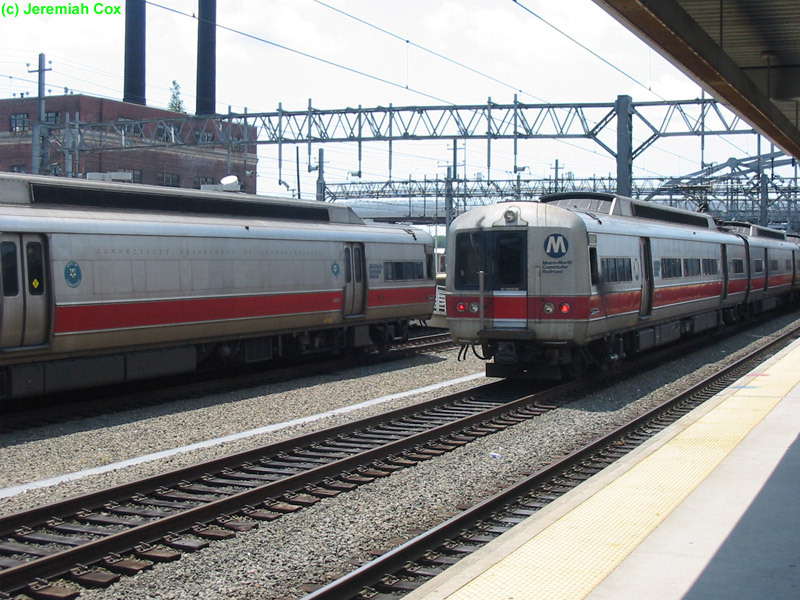 These trains consist of normally two cars (an Amfleet-I and an ex-Metroliner Cab Car) and a P42 Locomotive and connect with through Northeast Regionals from Boston for passengers going south to New York and Washington. Springfield trips before 2000 (when the engine change elimination removed the need for long New Haven stops) were operated as sections of through trains with Boston-bound trains dropping off one or two cars that would continue north (hauled by a second diesel locomotive) to Springfield with the reverse occurring for Washington-bound trains, a couple of cars added during the already longer stop for the engine change. Today a legacy of the engine changes is that Northeast Regionals have a full crew change (both conductors and engineers replaced) still to this day. 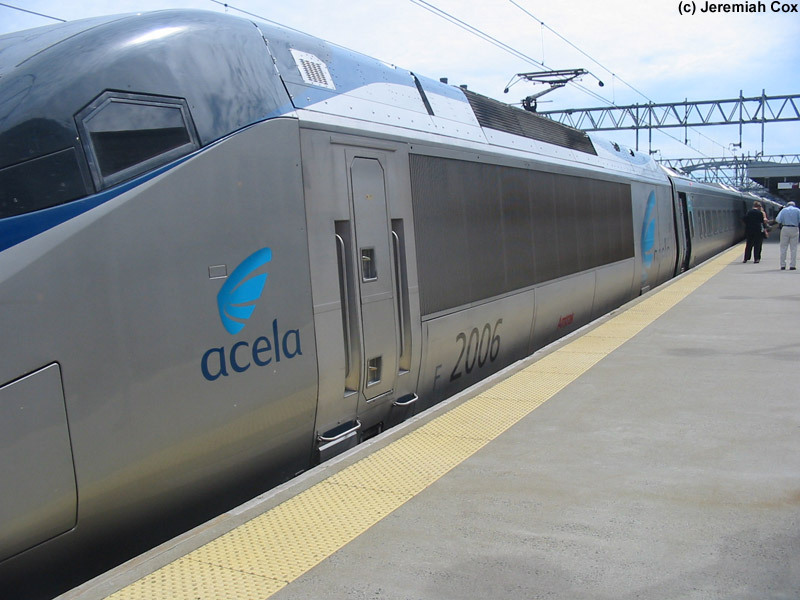 Acela Express Trains crews run through between New York and Boston and a few Acela trains even skips New Haven running non-stop from Stamford (as of 2013 one Acela train does bypass Stamford but stops in New Haven) to Providence. 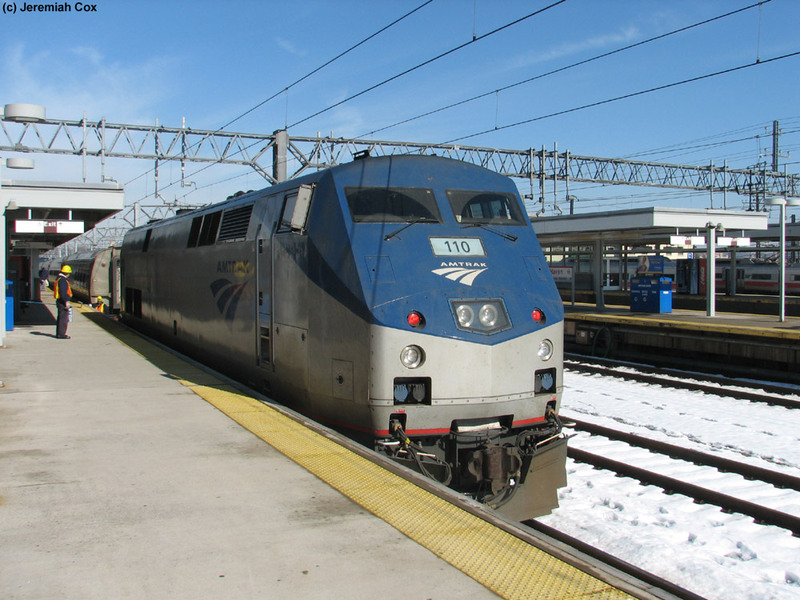 The station is still the tenth busiest Amtrak Station in the nation (granted transferring passengers from Northeast Regional trains to Shuttle Trains are counted twice since their tickets say New Haven). Commuter Electric-MU service has operated nearly since the beginning of electrification in 1914 between New Haven and New York-Grand Central. In 1968 the ill-fated PennCentral was forced to take over the New Haven Line that led to the formation of Conrail in 1976. 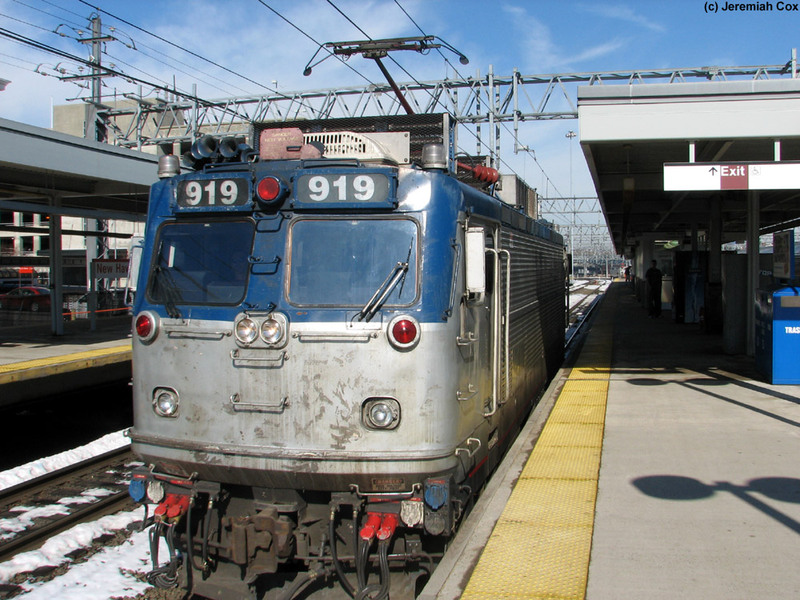 In 1983 congress required states to take over and directly operate the commuter services previously operated by Conrail and this led to the creation of Metro-North Railroad. 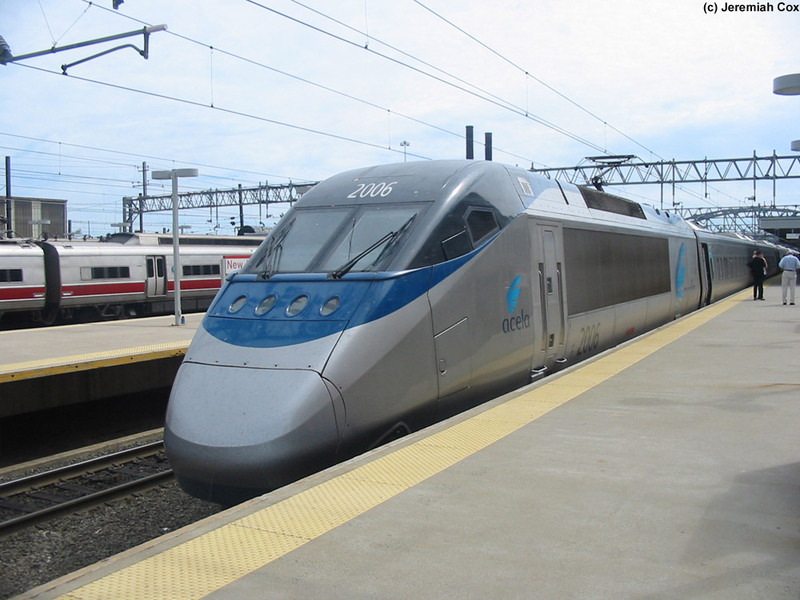 In 1990 the State of Connecticut (originally as a temporary project during I-95 construction) started Shore Line East as a new commuter rail line to Old Saybrook (in 1996 minimal service was extended to New London). 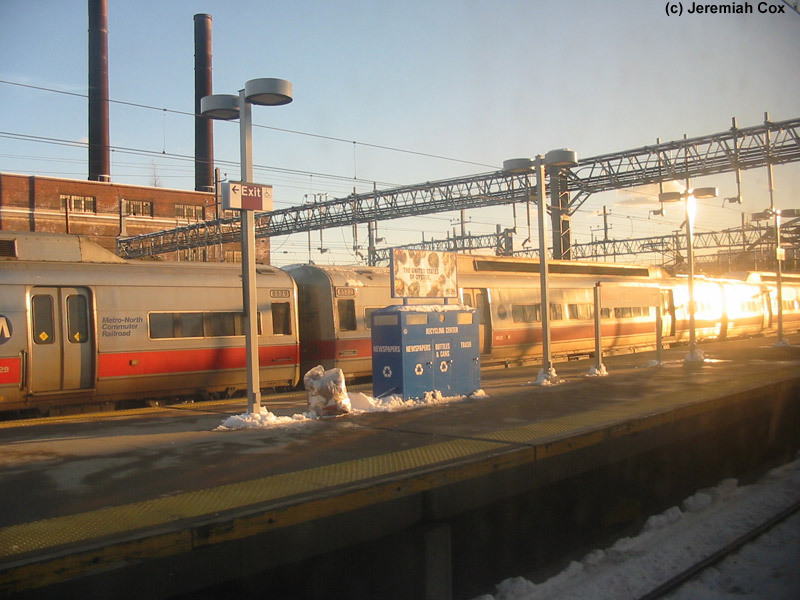 Shore Line East trains, still diesel operated under wire, a legacy of the fact the NEC was still diesel beyond New Haven when service began, are designed to connect with cross-platform connections and minimal layovers with Metro-North Trains for continued service. 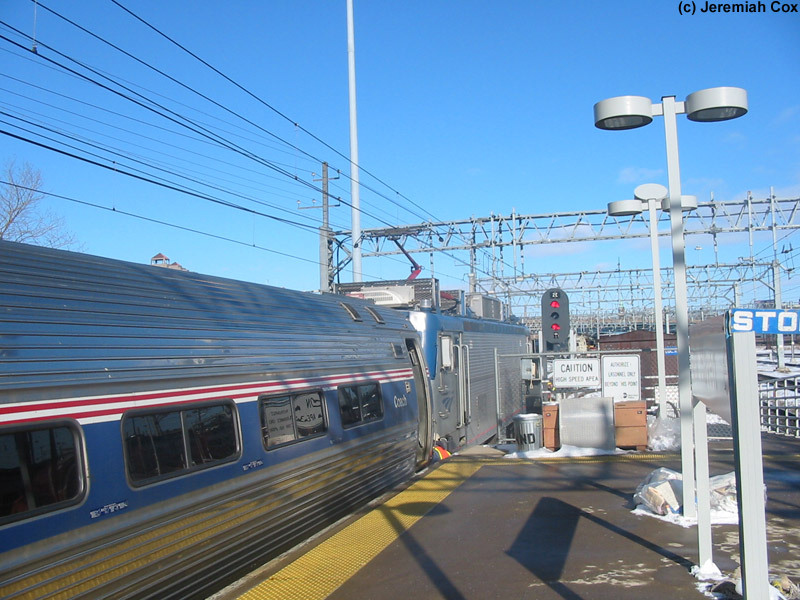 In 2001 a couple rush hour Shore Line East trains were extended to Stamford offering a one-seat ride between Old Saybrook and Stamford through New Haven although crews change in New Haven between Metro-North employees to Amtrak employees that operate the normal Shore Line East route. Union Station is located in the Long Wharf area slightly south of downtown. During weekdays, CT Transit runs a continuous free downtown circulator bus between the station, parking lots and the New Haven Green. 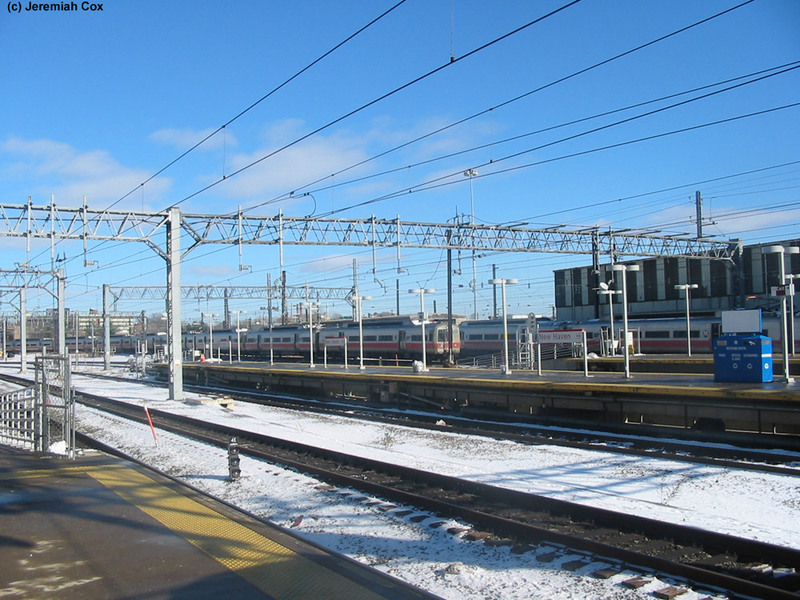 The New Haven-State Street Station opened in 2002 a half mile north of the station for Shore Line East and Metro-North to provide access closer to Downtown jobs for commuters to New Haven. The station consists is a large four story building that is a steel framed structure clad in masonry designed by architect Cass Gilbert. It was completed in 1920. The station was closed by the PennCentral in 1972 to save money with all ticket sales and waiting areas relocated to the pedestrian tunnel. Luckily the closing was short-lived and it was reopened and restored in 1985 (as a plaque say) under the Northeast Corridor Improvement Project. The station is four stories tall and divided into three sections with the central waiting room and ticketing hall in the middle (that has a high ceiling that takes up three stories) flanked by single story office space on each side. The station is located along Union Avenue with a vehicle drop off loop that includes a taxi stand from the street that has a long black awning that hangs from the station building coving this loop. The station building is also set back from the train tracks and surrounding it are parking lots (mostly for employee parking) with a 5 story parking garage just north of the depot ($13.00 for 16 hours, $18 per day), Amtrak claims there are 600 parking spaces. During weekdays there is even valet parking. Inside the station for passengers is a large great hall and waiting room. This room has imposing marble walls and a ceiling that is flat with molding accented by gold. Iron circular chandeliers hang down. The room has a red floor and in the middle of it are a series of wide wooden benches with circular ends. On top of these benches are scale models of trains (surrounded by plexiglass) that have served New Haven over the years. Along the east wall (closest to the trains) is the ticket office with 9 minutes. 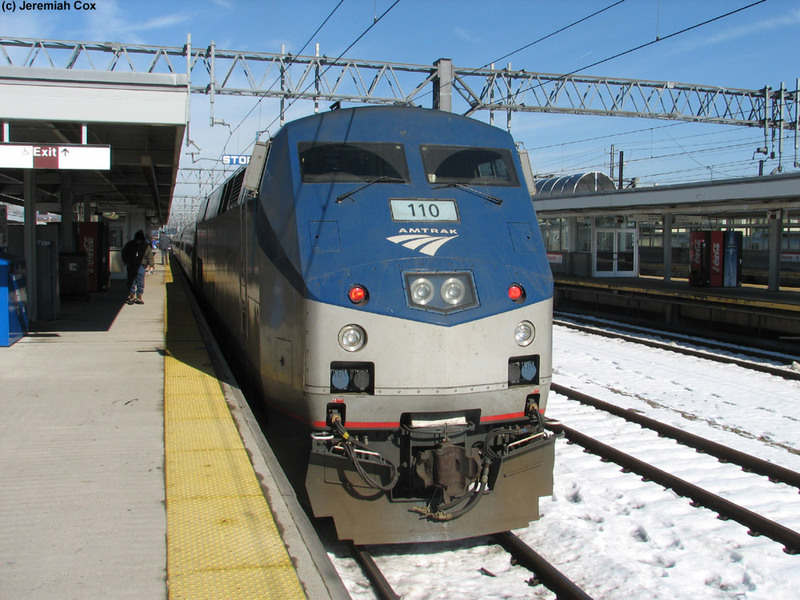 The northern half are set aside for Amtrak/Shore Line East Tickets and the southern half for Metro-North Tickets. Beyond the ticket windows (on the respective sides for each railroad) are the Amrak QuikTrak Machines (The QuikTrak machines aren't set up to sell Shore Line East Tickets) and the Metro-North TVMs. Along the opposite wall (between two sets of station entrances) is one of two Duckin-Donuts in the station a Subway and a newsstand. The area south of the great hall has the Amtrak Information Center and the Amtrak Baggage & Red Cap Office. Baggage can be only be checked in New Haven in the dead of night since Northeast Regional train pair 66/67, the overnight Twilight Shoreliner-Night Owl, is the only train that stops in New Haven and offers checked baggage service. At this end there is also a small Greyhound ticket office (that stops outside the station) and Avis/Budget Rental Car office. To reach the trains there is only one entrance tunnel to the platforms. Along the north wall of the station until October 17, 2014 a Solari flip board along with announcements were the only way to know track assignments. In October 2014 it was replaced by two new Col LED Departure Montitors that are extremely bright and were built by Daktronics, that specializes in stadium Smaller departure montirs were installed as of August 2013 but weren't activated until October 2014. These monitors include new departure/arrival monitors scattered throughout the station. Signs by each track entrance in the station tunnel list station stops. On the platforms themselves are new orange LED signs that list upcoming departures on each track and the current train departure with the destinations scrolling. To reach the platforms beneath the Solari board escalators (between a staircase) lead down to an underground level. On this level is the station's second Duckin Donuts and a Sbarro pizza place. 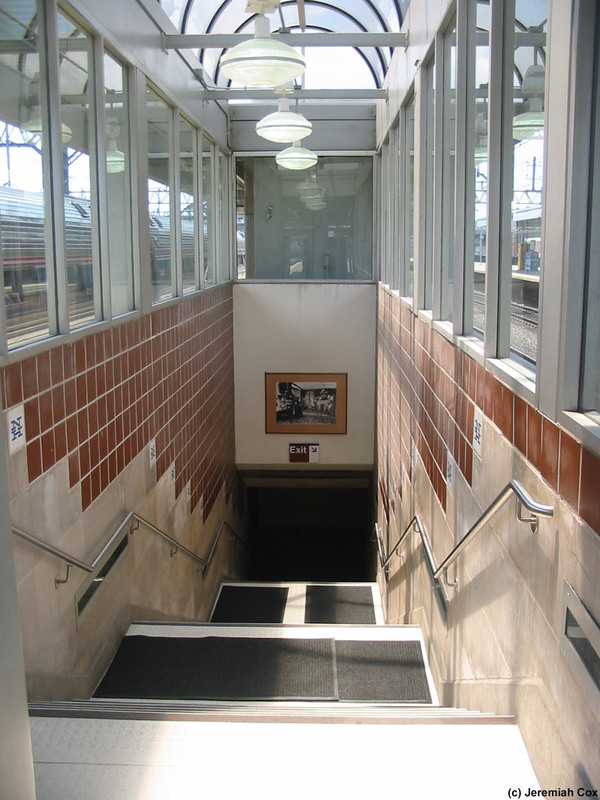 Automatic mat operated doors lead out to an immediate curve into the station's train tunnel. This tunnel, with round sides, consists of two parallel tubes that have been modernized and clad in silver sheeting and indirect lighting. The tunnel is quite long. It first leads beneath the small parking area and then 9 tracks (with some extra space between two of them) An elevator and two staircases lead up to each of the station's four platforms. 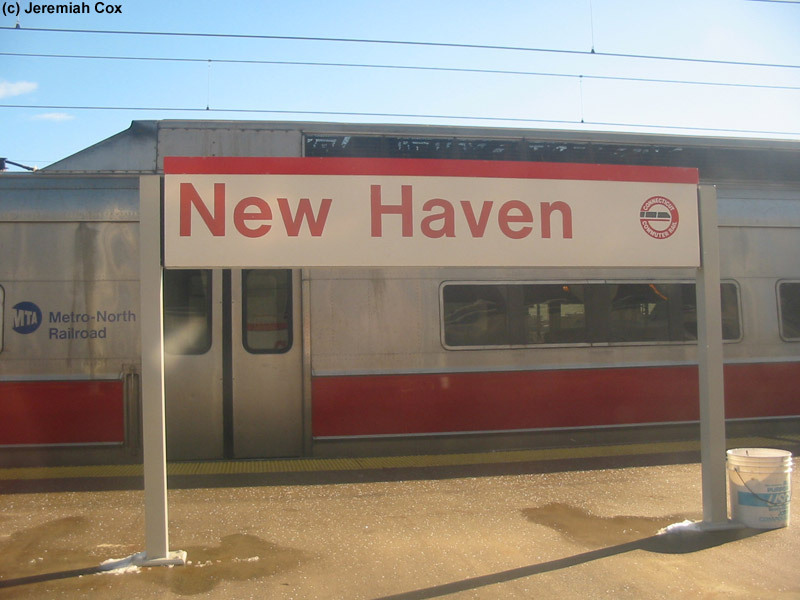 For trains New Haven has 8 platforms serving 4 stopping tracks. 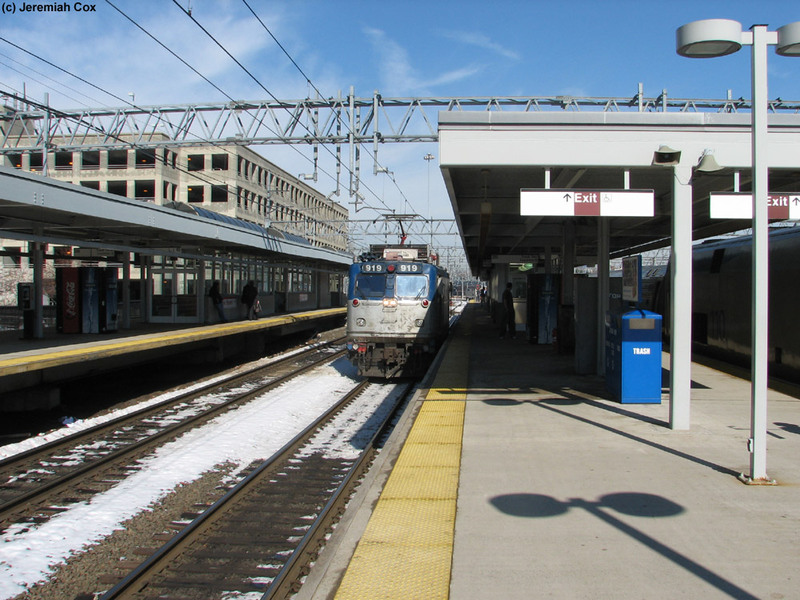 Starting from the station is the island platform (8 cars) for tracks 1 and 3, normally used by Amtrak trains heading to New York (with cross platform transfers to Northeast Regional Trains from Springfield Shuttles). 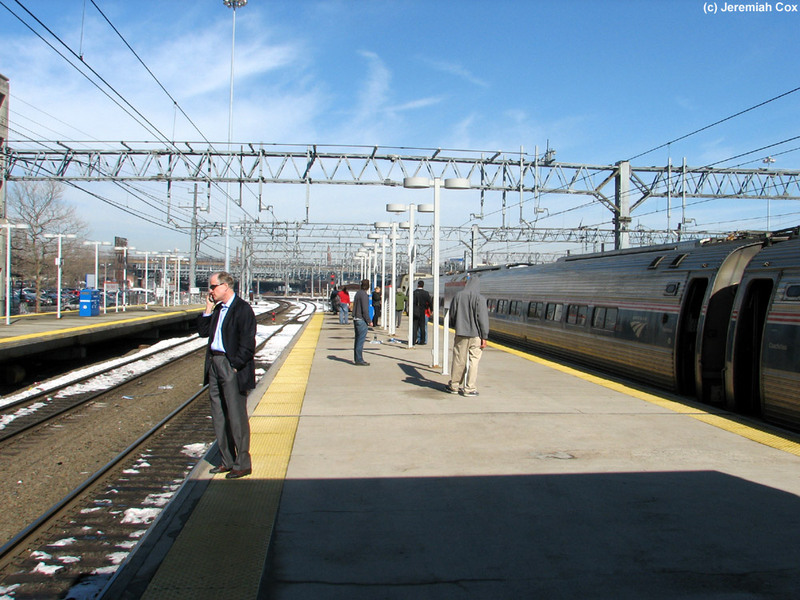 The platforms for tracks 2 and 4 is next used by Boston and Springfield-bound Amtrak trains and is where the Springfield-bound Shuttle trains normally originate. There is then track 6 that runs through the station not platforming and then some empty space where supports hold up the long catenary trust structures. Next is the island platform (7 cars) for Tracks 8 and 12. 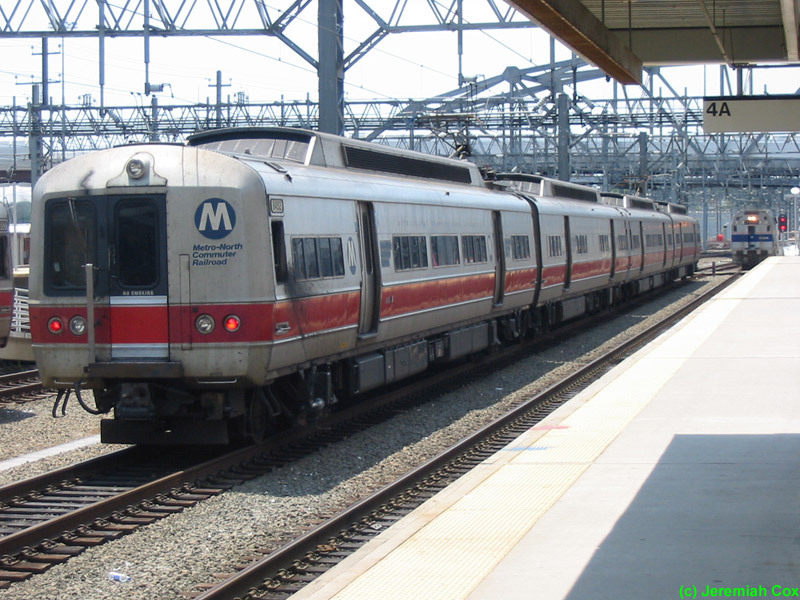 These are used by terminating Metro-North trains and for cross-platform transfers to originating Shore Line East Trains to Old Saybrook and New London. 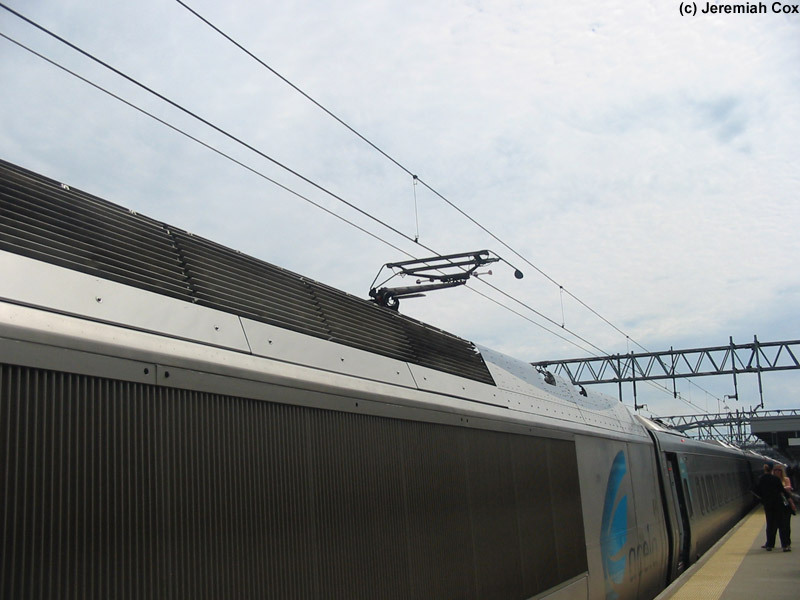 The final platform, for tracks 12 and 14, farthest from the station is normally used by originating Metro-North Trains to New York-Grand Central and terminating Shore Line East Trains. Beyond the platforms are two train yards and shops, with three different enclosed buildings. 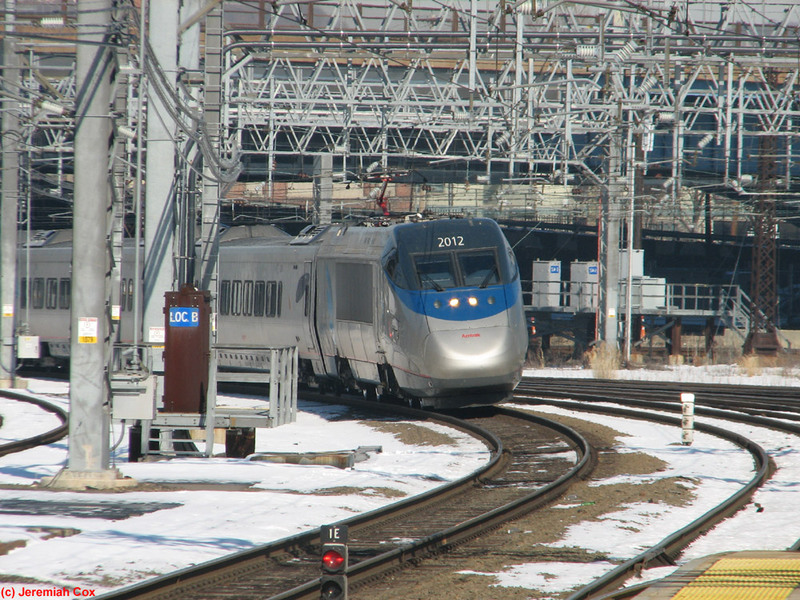 The large Connecticut Commuter Rail Maintenance Facilities and yard is to the west of the station and smaller Amtrak Yard, where its locomotives for the few engine changes and Shuttle Trainsets are stored between runs, is just south of the station (beyond the southern parking lot). The platforms are extremely simple and one major design flaw is that they lack any benches (for waiting connecting passengers) and TVMs. The lack of TVMs means that Shore Line East passengers transferring to Metro-North can shore their SLE receipt and pay on board without the $5ish on board surcharge. Passengers transferring from Amtrak to Metro-North don't have this benefit and have to enter the station to purchase a Metro-North ticket. The platforms are all slightly offset from each other (they also platform trains of different lengths) and are covered for about three and a half cars, all parallel to each other. These canopies are all simple white structures and the entrances to the staircases are surrounded by glass with doors up to the platforms, glass dome skylights are above these staircases and provide some light to the tunnel to the platforms beneath. The ends of the platforms have simple square lampposts. Signage are normal New Haven Line signs with a red line above red text on a white background. Inside the station itself and tunnel signage directing passengers to the tunnel and tracks is purple with white text and a gold border. 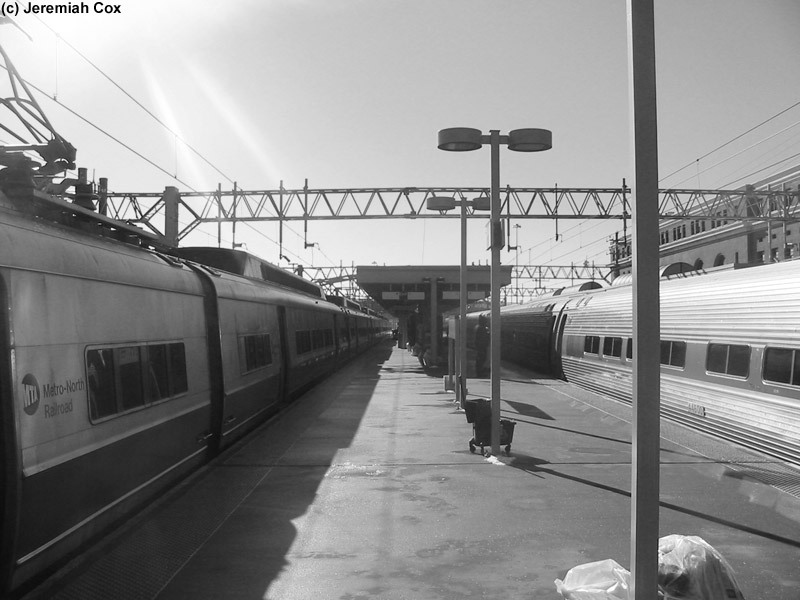 Looking down a platform at New Haven: A Metro-North train of M2/4/6s is across from Amtrak's Vermonter which is changing locomotives.